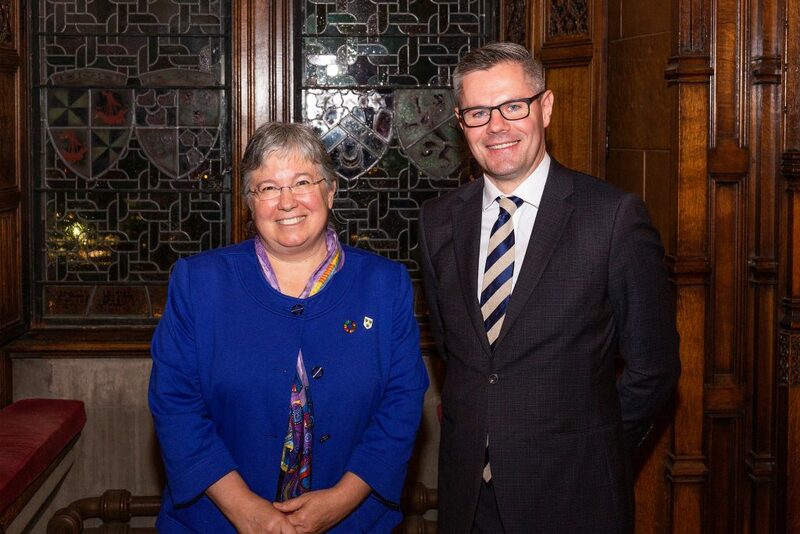 The Scottish Government and the United Nations Development Programme (UNDP) announced a 2-year programme of collaboration aimed at mobilising private capital for the UN Sustainable Development Goals (SDGs) at the Ethical Finance 2018 Conference (Oct 22-23) in Edinburgh. The announcement comes after the EFH worked with projects partners to develop and refine the project scope to allow the funding funding to be unlocked. Scottish Government committing £400,000 in funding matched by UNDP in support of this project, with FaithInvest contributing a further £200,000 in working capital. The SDGs were agreed and adopted by the UN in September 2015 as part of the 2030 Agenda for Sustainable Development. The 17 quantitative and qualitative Global Goals reflect the aspirations of the people from around the world. They are designed to address global economic, social, governance and environmental challenges, providing a common framework for shared action across all sectors and countries. 193 countries (including Scotland) have adopted the SDGs since September 2015 with the target date of 2030. With an urgent need to move from a grant-dependent or charity-dependent model towards a self-sufficient business enterprise, the collaboration will seek to develop innovative financial structures and delivery vehicles to allow some of the UNDP’s 4,500 natured-based, and SDG-aligned, projects to become viable investment propositions. It will also develop and facilitate a programme of investor and stakeholder engagement activities aimed at driving more private capital to SDG funds and projects. Heriot-Watt University through the distance learning experience of Edinburgh Business School, will co-develop a course on entrepreneurship. Having played a key role in bringing the parties together, and developing the scope of the collaboration, the global programme office will be located at the Ethical Finance Hub in Edinburgh Business School. The Ethical Finance Hub will also provide project management support and explore opportunities to deepen the engagement between Scotland and UNDP. The programme and Ethical Finance 2018 both form part of the Global Ethical Finance Initiative (GEFI) which consolidates some of the pioneering and innovative ethical finance work being undertaken in Scotland. Cabinet Secretary for Economy and Finance Derek Mackay said, “The Scottish Government welcomes a week of ethical finance events to Edinburgh, home to the Ethical Finance Hub and we are delighted to efforts to shift the focus of finance to a responsible and ethical approach, reflecting our commitment to sustainable, inclusive growth. “The powerful combination of the work of the Hub, and Scotland’s reputation both as a financial centre and a nation of innovation, has been recognised globally, attracting the attention of the United Nations Development Programme.